Some claim that UFOs have been visiting the earth since ancient times. Author Erich von Daniken sees evidence of these ancient astronauts in the records our ancestors left. He sites art that includes flying beings, stories of visitors from the sky and archaeological oddities as proof. While evidence that would convince most scientists is lacking, certainly the idea that we were visited by extra-terrestrial beings in the past has it appeal and Von Daniken was able to write several successful, if somewhat inaccurate books, on the subject. Certainly there are stories about men seeing things in the sky since ancient times. A sailor aboard Columbus's ship ,the Santa Maria, saw a glittering thing in the distance. At the end of the 19th century America experienced a flap of "airship" sightings across the nation. During World War II pilots spotted strange lights in the sky that neither seemed to be friendly or enemy craft and nicknamed them "foo fighters." The modern history of UFOs, though, perhaps begins in 1947 with an Idaho businessman and pilot named Kenneth Arnold. While flying near Mount Rainier, Washington, Arnold spotted a formation of nine silvery, disc shaped objects flying in and out of the mountains of the Cascade Range. He estimated their speed at some 1,200 miles per hour, more than twice as fast as any known aircraft of that day. He described the disc's movements to a reporter as "like pie plates skipping over the water." In his story the next day the reporter coined the term "flying saucers" and the label stuck. Sightings like Arnolds, and more fantastic stories including actual contact with occupants of the saucers, and rumors that the U.S. government had salvaged a crashed alien spaceship, and that U.S. plane had been shot down by a UFO, flourished in the late 1940's. In response the U.S. government created a group to investigate these reports. Operating under several names, the most well known being "Project Blue Book", the Air Force continued to investigate UFO reports for some twenty years. 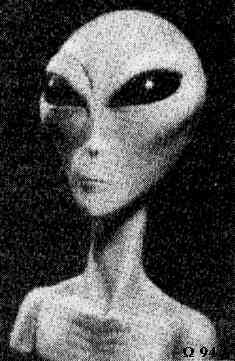 Project Blue Book hired Dr. J Allen Hynek, an astronomer at Ohio State University, as a consultant to the project. While a skeptic himself he became disillusioned with Project Blue Book, which had never been staffed with more that two or three people and given a low priority, saying it was nothing more than a "public-relations effort designed to debunk the whole thing." While not believing that UFOs where actually alien spaceships, Hynek did come to believe that there was indeed a real phenomenon at work warranting scientific investigation. Hynek continued to work gathering information about UFO sightings without the help of the United States Air Force. He, with other interested UFO researchers, formed the Center for UFO Studies at Evanston, Illinois. Hynek and his colleagues have been responsible for organizing UFO reports into a classification system based on criteria like the distance of the sighting and the time of day. Hynek's group broke down sightings into two major categories: Closer than 500 feet and further than 500 feet. These majors groups were then broken down into nocturnal visual observations (the majority of reports), daytime visual, and radar visual (where the object is observed both by eye and on radar).